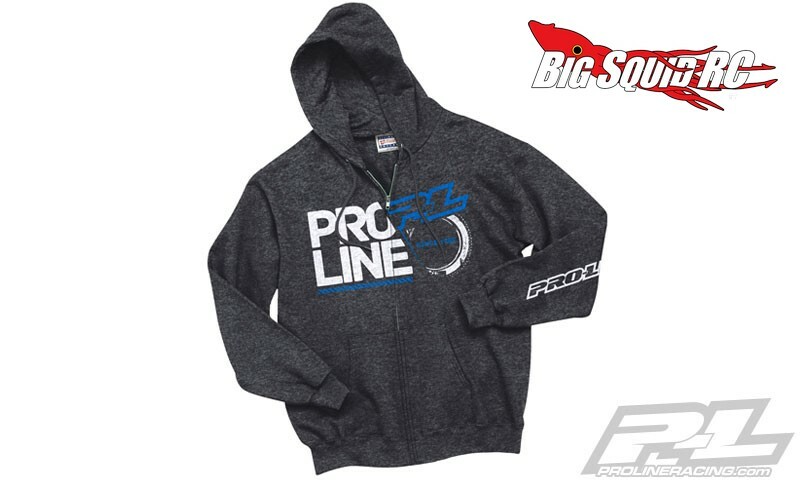 Pro-Line Stacked Charcoal Heather Zip-up Hoodie « Big Squid RC – RC Car and Truck News, Reviews, Videos, and More! Show the world you are an rc’er while keeping comfortable this winter in the new Stacked Charcoal Heather Zip-up Hoodie from Pro-Line. The latest piece of apparel from Pro-Line comes with a stacked logo on the front and a full Pro-Line logo on the sleeve, while its zip-up design makes it easy to get on and off in the pits at your local track or bash spot. The zip-up hoodie is priced at $50 and Here Is The Link to more details over on the official Pro-Line website. Find more of the latest Pro-Line news Right Here on BigSquidRC.